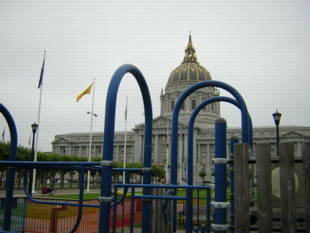 A small fenced playground with attractive climbing structures appropriate for the six-and-under set. Combine a visit with a trip to the farmer's market held on Wednesdays and Saturdays, or to City Hall. 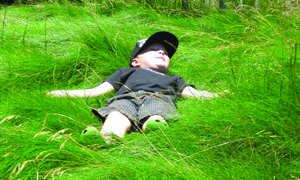 Stop by the Main Library, which has a wonderful children's section and reading room. 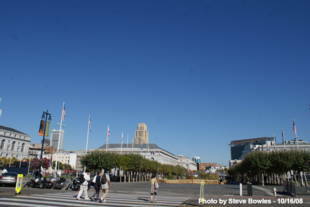 Civic Center Plaza is owned by the San Francisco Recreation and Park Department. Between Van Ness and Polk. Metered street parking, if you can find it. Park in the Civic Center Plaza garage. Take Muni to the Civic Center Station. 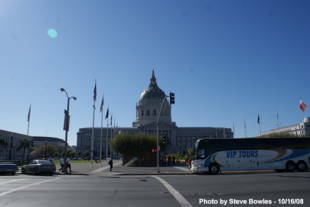 Great for views of City Hall, Asian Art Museum, and Bill Graham Civic Auditorium. Muni Metro J/K/L/M/N/T to Civic Center station or the F-Market & Wharves stretcar to Market and 7th. Walk to City Hall through the UN Plaza. 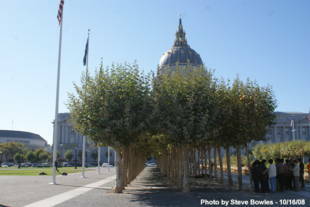 21-Hayes -- Grove and Van Ness - the park is on the opposite side of City Hall.